We will also look at the importance of booking an expert to provide a fire risk assessment of your workplace. Fire equipment signs will always be red rectangles with white text and pictograms communicating what they are. 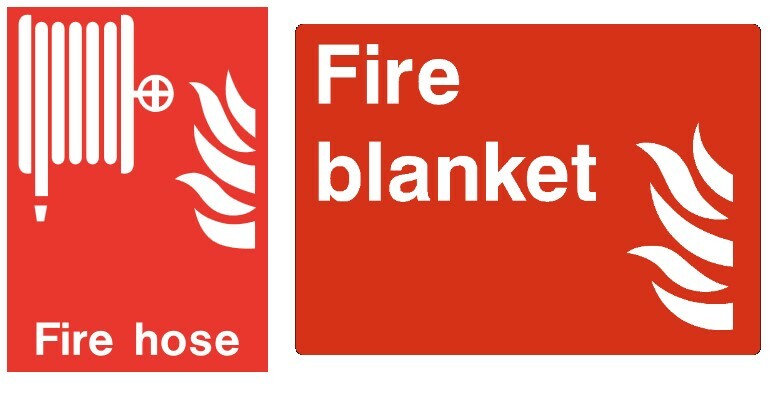 These signs should be placed near all fire safety equipment, and the red colour is a requirement for all fire safety equipment. However, the sign does not need to be red if the equipment itself is red. Fire safety equipment should be situated somewhere where everyone can see it – but if this isn’t possible, then fire equipment signs should be used to draw people’s attention to it. Read last month’s blog if you’d like to learn more about fire safety equipment. Safe condition signs are green rectangles with white text or white pictograms. These signs are used to indicate fire exits and escape routes as well as first-aid equipment and anything else that may be useful and help make a person safe. Safe condition signs are needed if you are to comply with the Health and Safety at Work Act 1974, but they aren’t required in order to satisfy the Health and Safety (Safety Signs and Signals) Regulations 1996. 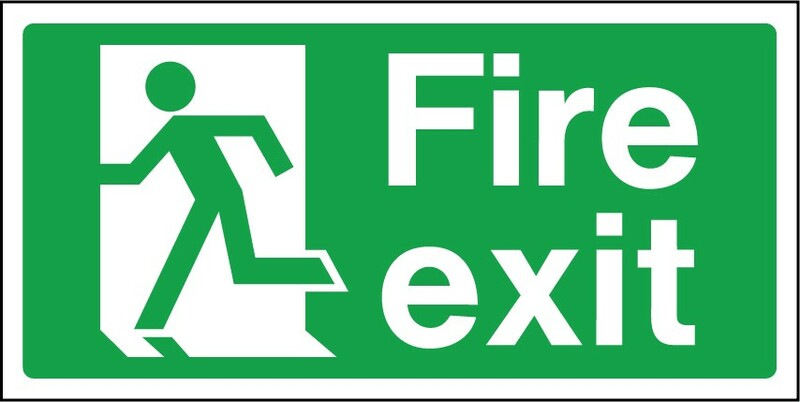 Exit signs are the most important kind of safe conditions signs and they are required in order to meet Building Regulations 1991. However, the Safety at Work Regulations 1992 does not require the inclusion of safe condition signs such as exit signs if there is no significant risk to employees’ health and safety. If you are in any doubt, book a health and safety consultation. Lastly, supplementary information signs provide additional information to other fire safety signs and usually contain more text than other signs. Supplementary signs are used when more information than that given by one of the other signs is required. For example, perhaps the use of water to extinguish a fire is prohibited in a certain area due to the risk of electrical fires. In this instance, a supplementary information sign with ‘Water as an extinguishing agent prohibited’ should be used. These signs are used for more specific tasks than many of the other signs discussed above and in the previous blog post. Supplementary information signs should either have white or yellow backgrounds with a black outline and black text. Now that you understand the various different kinds of fire safety signs, you can start figuring out which signs you need for your workplace. If your workplace is small and the risk of fire is small, then you can probably do this yourself. However, to protect yourself legally, and to protect your employees’ safety, it may be a better idea to book a fire risk assessment by an expert. 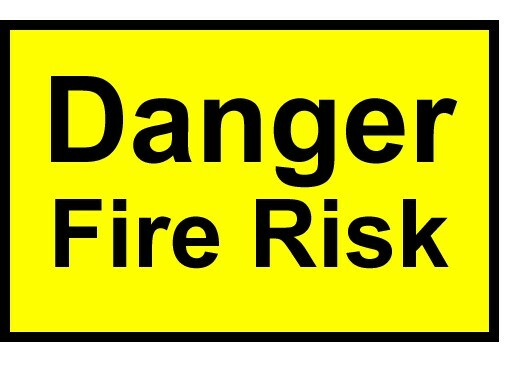 An expert will give you all the guidance you need, both about making your workplace safer and about which fire safety signs you are legally obliged to display. We hope you have found this fire safety signs guide useful. If you are interested in making your workplace even safer, you may be interested in K&D Systems’ fire shutters and fire curtains, as they can slow down and even completely stop a fire in its tracks.